Are You “Salty” or Salt? Are you “salty” or “salt”? Whenever we see salt, we have the opportunity to look at that tiny little grain of pure white and think… Lord, help me be a small little grain that brings out the taste of your beauty in all interactions I have with others. How about you? 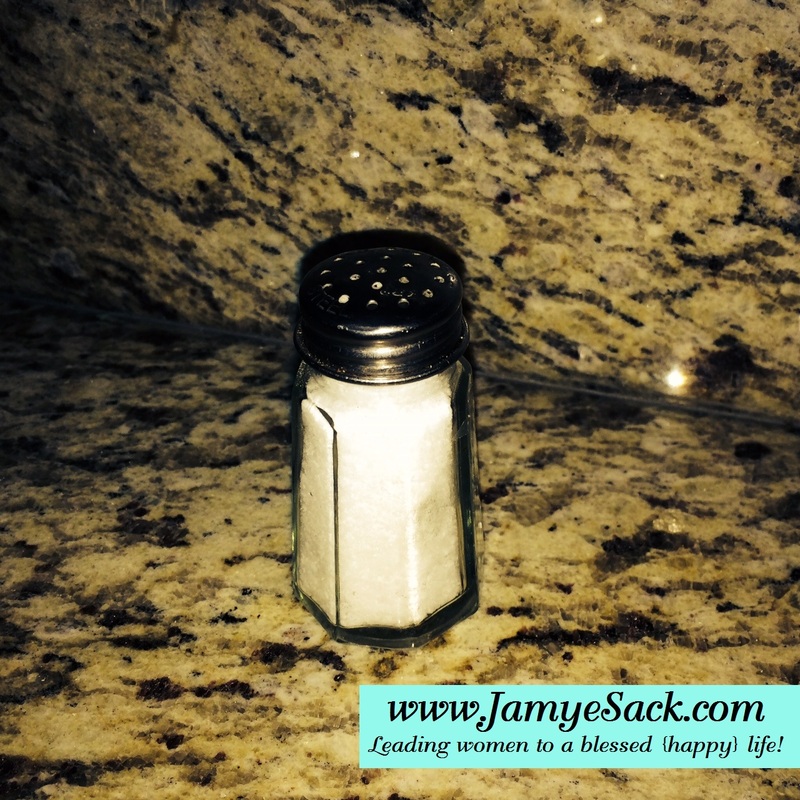 What do you think of when you see salt? What do I do with Picture Parable of the Week? Look at the picture and ask God what He wants to reveal to you through the picture. 1) Listen to what He says, enjoy it & share it with us! 2) Search the Word of God (the Bible) for any and all that you can find in connection to the picture, enjoy it & share it with us! Let’s magnify God, share this picture parable with family & friends! Do you have a picture you want to share? Email it to me at JamyeSack@gmail.com. Why do we do Picture Parables of the Week? Want more information about parables? Note: Let us enter into this freedom of hearing from God. There is not a correct or incorrect answer, so feel free to hear from God! With that said, all things given to us by our good God cannot contradict Scripture or oppose the heart of God. Let’s bring a little fun into our relationship with God and see where these pictures take our hearts in Him. « Two Things You Can Do Today to Live Fully Alive! A good distinction between salty and salt. Am I healing, soothing or do I hurt? Just one little letter. That’s a great question. Two things that can bring about such different results. Thanks for sharing!